It is an outstanding characteristic of St. Thomas’ ethical theory that it is very closely tied to his metaphysical view of the world and to his theory of knowledge. This is a source both of strength and of weakness. The theory certainly gains in subtlety and complexity. Indeed, by comparison with St. Thomas’ ethics, many better known theories look rather threadbare and simple-minded. However, the important questions about any philosophical theory are: Is it true and are the arguments by which it is supported acceptable arguments? 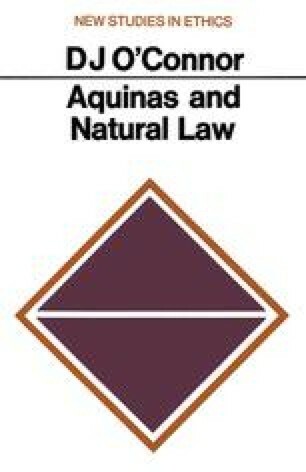 And with Aquinas the close logical ties with his metaphysics, theology and theory of knowledge are a disadvantage, for any criticisms that can be brought against these presuppositions of his moral theory must tell against the theory itself. As we have seen, objections can be brought against some of these. I will mention the most important of them below.